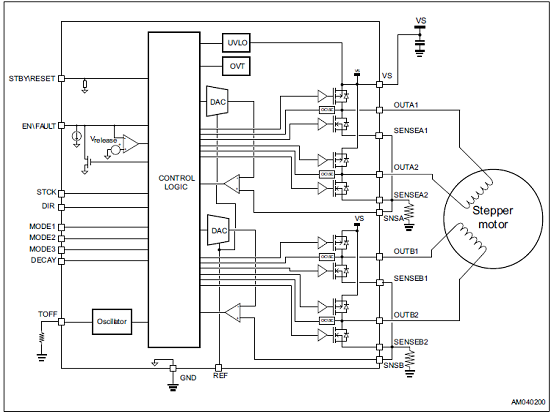 The STSPIN820 is a stepper motor driver whichintegrates, in a small QFN 4 x 4 mm package,both control logic and a low RDSon power stage.The integrated controller implements a PWMcurrent control with fixed OFF time and amicrostepping resolution up to 1/256th of the step. The device can be forced into a low consumptionstate.The device offers a complete set of protectionfeatures including overcurrent, overtemperatureand short-circuit protection. 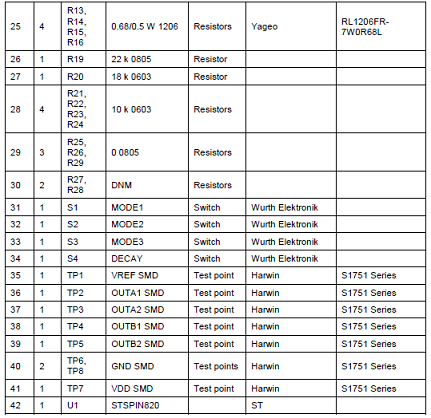  RDSon HS + LS = 1 Ω typ. 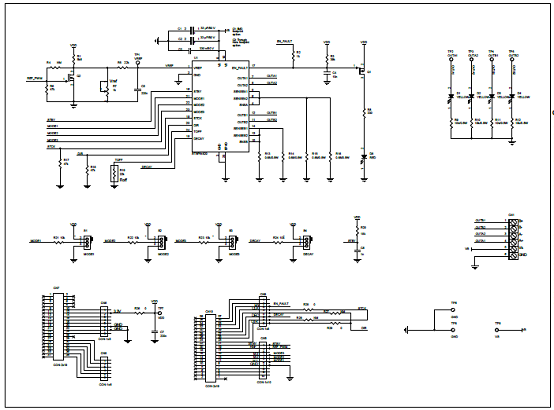 The EVALSP820-XS is a compact and easy touse evaluation board for the STSPIN820, theworld ’ s smallest 45 V microstepping motor driverrated at 2.5 A.It provides a very compact solution to evaluatethe performance of the STSPIN820 stepper motordriver with a minimum set of additional equipmentand without the need of additional devices. printing platforms, representing a very fast drop-inreplacement of similar solutions. Contrary to mostother competitors solutions, the EVALSP820-XShelps customers to really exploit the benefits ofworking at high microstepping resolution. The microstepping resolution can be easily set toone of eight available values through M1, M2 andM3 inputs: full-step, 1/2, 1/4, 1/8, 1/16, 1/32,1/128 and 1/256 of step.It is simply controlled through step and directionports and embeds the PWM current controlalgorithm with selectable decay mode (fast + slowor slow) and the adjustable reference voltagelevel through an embedded potentiometer. The STSPIN820 features a full set of protectionsmaking it a bullet proof device for a wide range ofindustrial applications. 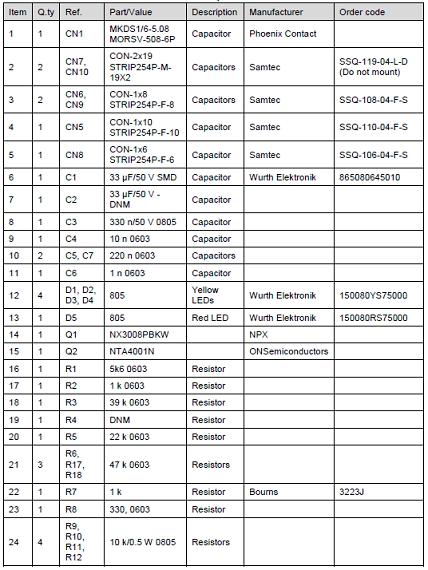 The X-NUCLEO-IHM14A1 motor driver expansion board is based on the STSPIN820 monolithic driver for stepper motors. 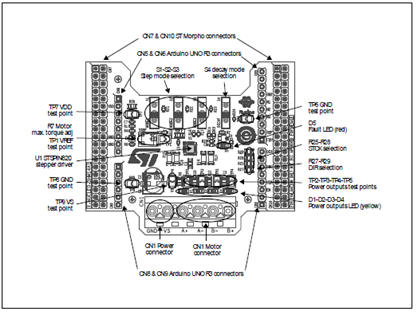 It represents an affordable, easy-to-use solution for driving stepper motors in your STM32 Nucleo project, implementing motor driving applications such as 2D/3D printers, robotics and security cameras. 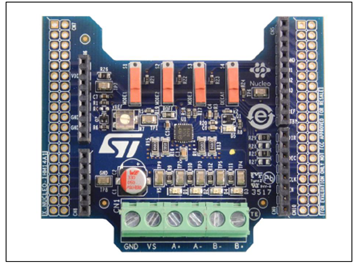 The STSPIN820 implements a PWM current control with constant OFF time adjustable via an external resistor and a microstepping resolution up to the 256th step. The X-NUCLEO-IHM14A1 expansion board is compatible with the Arduino UNO R3 connector and the ST morpho connector, so it can be plugged to the STM32 Nucleo development board and stacked with additional X-NUCLEO expansion boards. 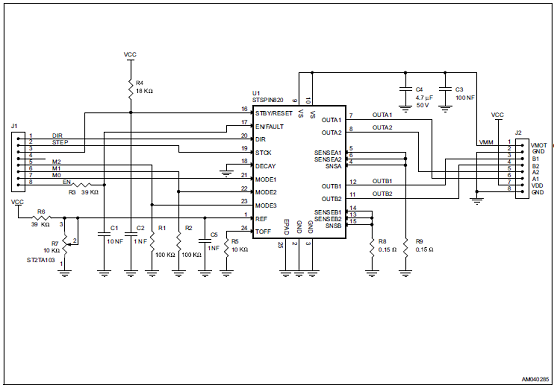 The X-NUCLEO-IHM14A1 expansion board for STM32 Nucleo is a stepper motor driver covering a wide range of applications.